In 2003 Icon of Coil frontman Andy LaPlegua brought you his new electro/industrial project called Combichrist. The first release on Out Of Line Records, 'The Joy Of Gunz' presented a very hard edged EBM/industrial sound. Pummeling dancefloor grooves and distorted beats combined with scathing vocals and electro arrangements produced a full-tilt dancefloor onslaught. 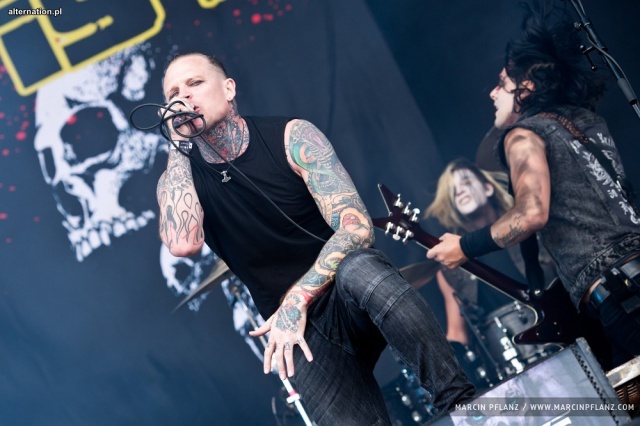 In next years the enormous response took Combichrist to the live stage. Combichrist did shows in Germany, the Netherlands, UK, Spain, Italy and USA and such festivals as; WGT, Summer Darkness and Infest. 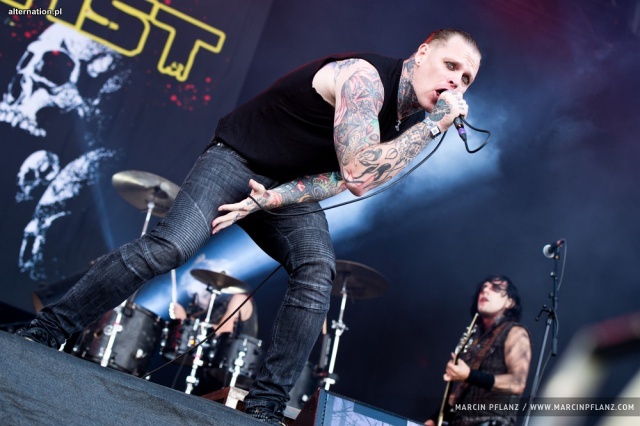 Combichrist then became known for being a strong live act, full of energy, blood, and a rock'n roll attitude. Next releases only cemented position of Combichrist on the musical scene - Andy LaPlegua proves that he is able to create something that is ground breaking with Combichrist. He takes no prisoners and no one can escape what remains and what is left are the remnants of musical destruction and exhausted corpses scattering the dancefloor. In 2016 Norwegian-American group Combichrist returns with an unapologetic masterpiece. The new long player "This Is Where Death Begins" is an apocalyptic behemoth of guitars, electronica, infernal drums and dark elemental force. Thudding tribal drums, guitars slammed in your face like a 20-ton-weight, chopped up synth-attacks and in the midst of it Andy LaPlegua rampaging like an unrestrained demon of wrath: on their new album, "This Is Where Death Begins", Combichrist are conjuring up a proverbial hellfire. A black monolith of unbridled aggression. Produced by Oumi Kapila from Filter and Andy LaPlegua, with guest vocals from Chris Motionless of Motionless In White and Ariel Levitan of MXMS and mastered by the legendary Vlado Meller (Red Hot Chili Peppers, Slipknot). Combichrist have created a milestone of their career. "This Is Where Death Begins" was also released as a deluxe 2-CD-Digipak-version which contains the bonus disc "History Of Madness: Old School And Rarities Live At Complex, LA" with a fine selection of the group's early Industrial classics.